Century I is an all-electric, rate-based, lightweight, single axis, roll/heading lateral stabilization autopilot. Vacuum system failures will not affect the operation or performance of the Century I. 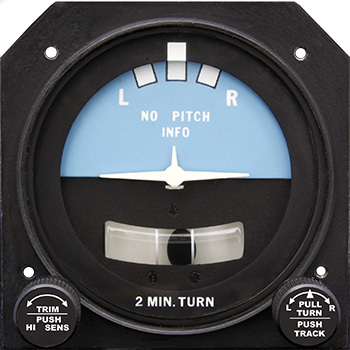 An electric servo on the aileron control system provides the control force for the wing-leveling stabilization and pilot-commanded, knob-controlled turns at rates of up to 200°/minute. The system utilizes a tilted rate gyro to sense rate of turn and roll rate in its 3-inch lighted standard turn indicator. The indicator includes an inclinometer (ball) for slip/skid indications, and VOR/LOC radio signal tracking is standard. The Century I may also be used as an all-electric safety backup autopilot to the Century IIB, III, or IV vacuum/electric systems, sharing the same roll servo. Unlike many competitive systems, the custom-manufactured cable harness is included to reduce installation time and expense. Options: Stand-alone manual electric trim is certified in some aircraft. NOTE: Some systems have special requirements or set-up costs resulting in higher prices.